Zhang, H., Wu, H., Zheng, J., Yu, P., Xu, L., Jiang, P., Gao, J., Wang, H. and Zhang, Y. (2013). 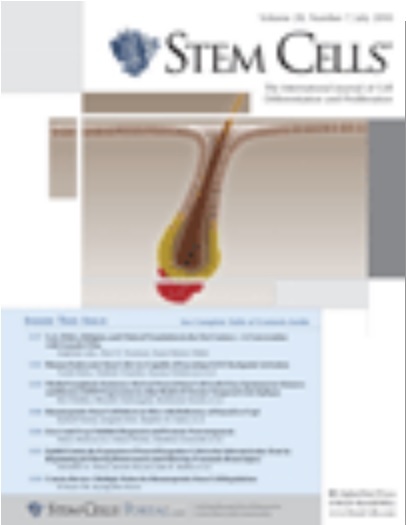 Transforming growth factor beta1 signal is crucial for dedifferentiation of cancer cells to cancer stem cells in osteosarcoma. Stem Cells 31(3): 433-446. Yang, T., Fang, S., Zhang, H. X., Xu, L. X., Zhang, Z. Q., Yuan, K. T., Xue, C. L., Yu, H. L., Zhang, S., Li, Y. F., Shi, H. P. and Zhang, Y. (2013). N-3 PUFAs have antiproliferative and apoptotic effects on human colorectal cancer stem-like cells in vitro. J Nutr Biochem 24(5): 744-753. Sun, D., Wang, X., Zhang, H., Deng, L. and Zhang, Y. (2011). MMP9 mediates MICA shedding in human osteosarcomas. Cell Biol Int 35(6): 569-574.